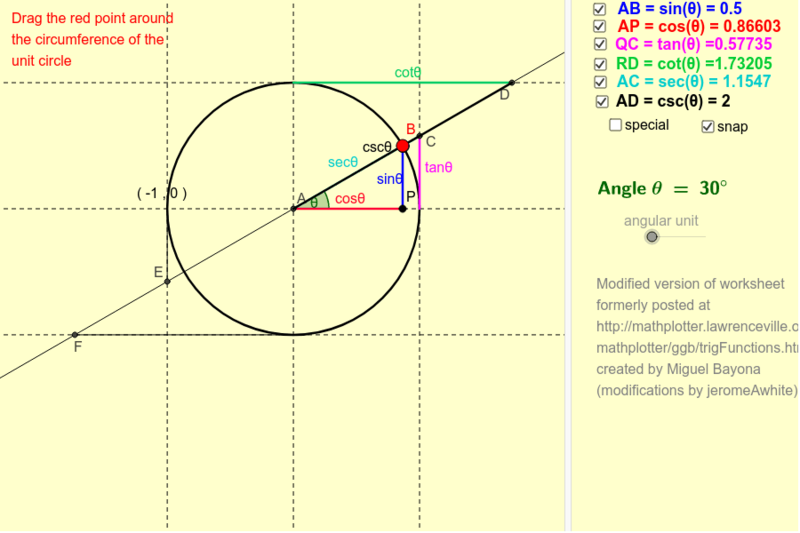 Have you ever wondered if a "tangent line" in Geometry has any relation to the "tangent of an angle" in trigonometry? Or "secant line" and "secant of an angle?" What relation is implied by the prefix "co-" when discussing sine and cosine, tangent and cotangent, or secant and cosecant? (Did you know it has to do with "complementary" angles?) This worksheet is intended to help students see such connections.